Taking your toddler to the beach? 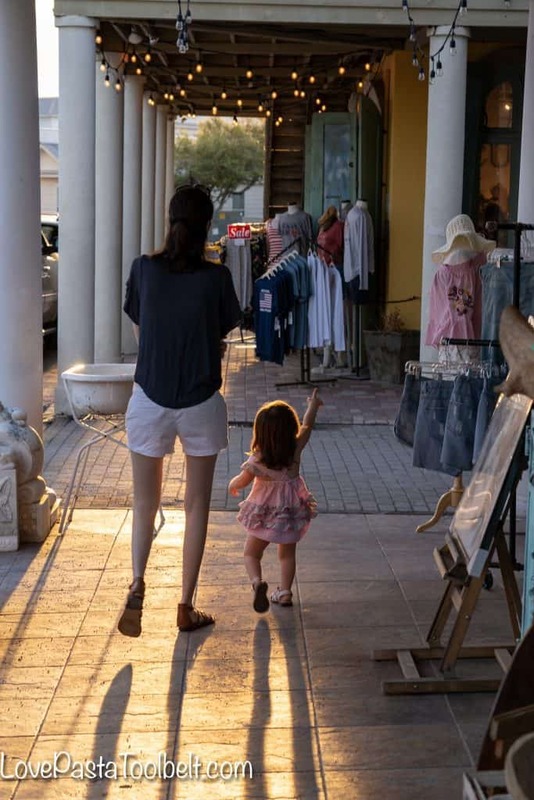 Try some of these Tips for a Stress Free Beach Trip with a Toddler to help your trip go smoother and be a lot of fun! K is two years old now and we’ve taken her to the beach five times. Honestly it’s gotten easier each time. I’m not sure if it’s because she’s getting older or because I’m getting more experienced. Either way I thought I would share some of the things I’ve learned about beach trips with a toddler. My number one tip is less is more. Taking less stuff to the beach with a toddler is so much easier. And honestly there is sand and water and they’re going to be pretty amused by everything already there. Every child is different of course, but with K on our most recent trip we brought so much less than any other trip and she was happy. What we took to the beach consisted of the following, one beach bag, two beach towels and a little bag of beach toys. What was in the beach bag? 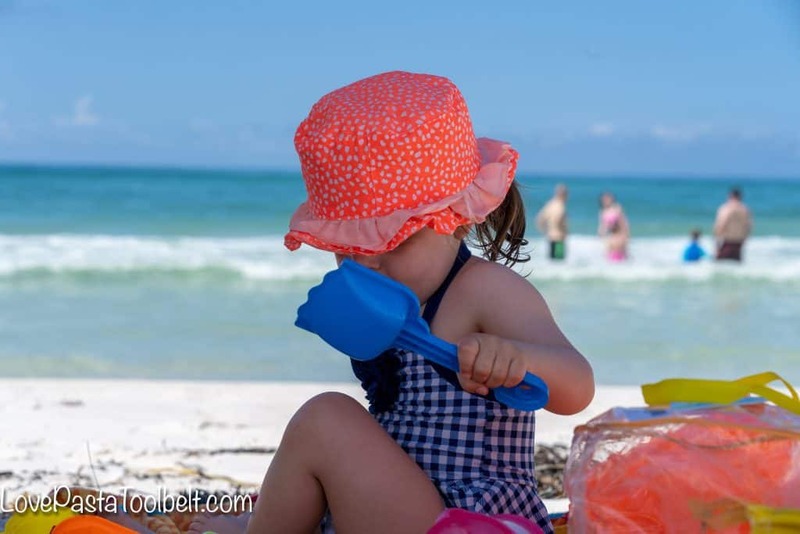 – Snacks- this was imperative for keeping K entertained on the beach, girl loves her snacks. – Book for mom- I waited about three days before I remembered to bring my book down. Tyler and I would switch on and off watching K so when it was my turn for a break I’d read some of my book. We also brought two towels to the beach, one was a larger one which we laid in the sand for K to sit on and play and the other I used in my chair. (if it’s in your budget) is to rent beach chairs/umbrella directly on the beach. We did this and it was the best decision we made. We rented a house a few blocks off the beach and not having to drag chairs and an umbrella down everyday was a life saver. This really made our trips to the beach so much easier. Tyler bought K a set of sandcastle toys that came in a little plastic bag so we carried that down to the beach every day. We ended up weeding through the different toys and just choosing the ones K was playing with because of course we couldn’t repack everything like it came. Last time we were at the beach we took a small pool for K but this time she loved the ocean so we really had no need for the pool. Our most recent trip was definitely our best trip to the beach with K. She was still timid about walking in the sand but it was nice because I didn’t have to chase her everywhere. She loved playing in the sand and the ocean and it worked out really well. We would go down each morning and spend about 2 or 2.5 hours on the beach then we’d come up to the house and do the pool for a little while and then have lunch. We loved having a house with a pool because we could hang out beside it while K napped which was so nice. 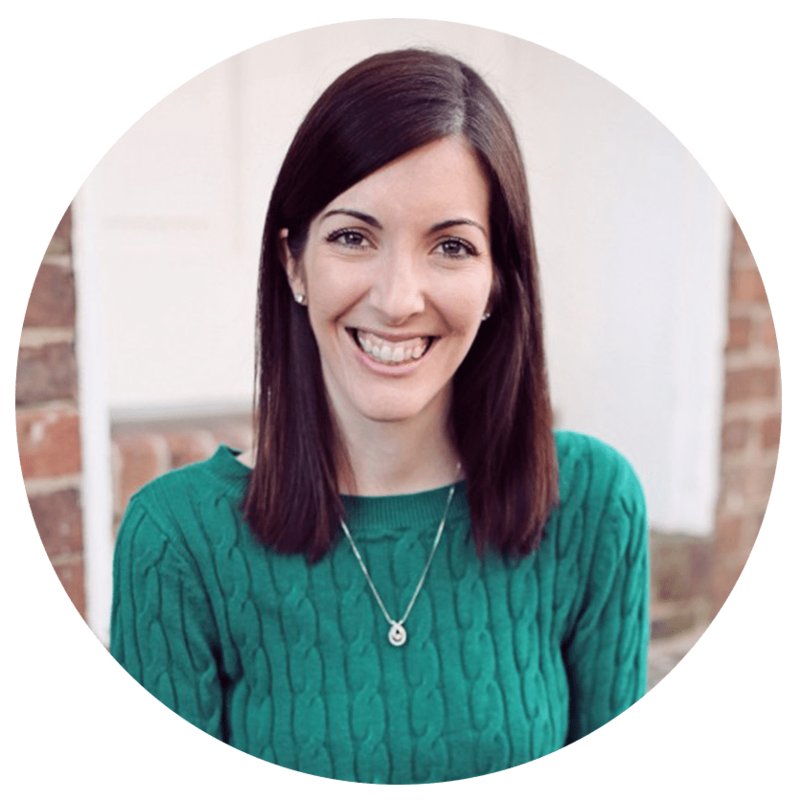 Please share your tips with me in the comments! 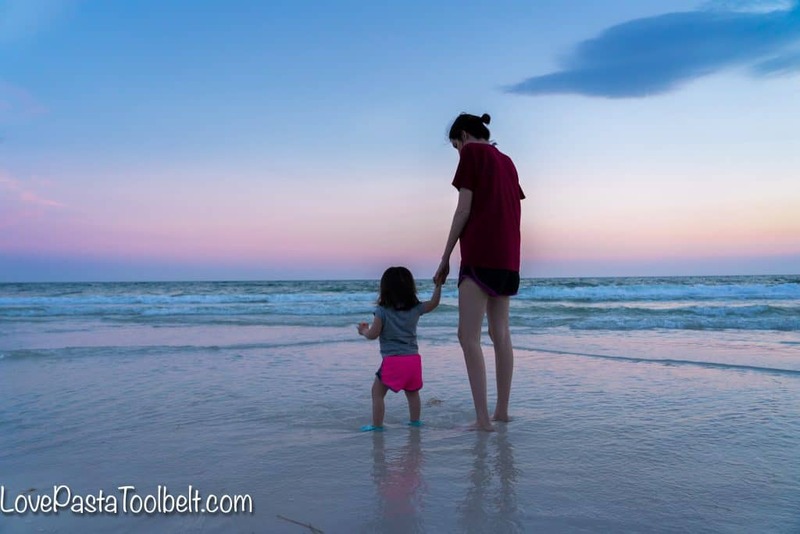 I would love to hear your tips for going to the beach with a toddler? 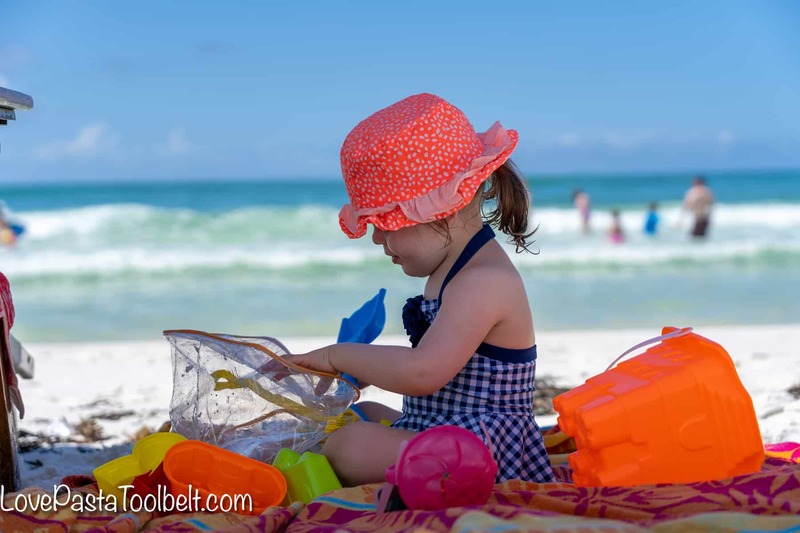 How do you make a beach trip with a toddler stress free? I’m by no means an expert and I know as she gets older things will change. And now if you have tips on how to keep a toddler happy in the car, send them my way. Girlfriend does not enjoy long car rides, mainly because she refuses to go to sleep in the car. Planning a beach trip? Don’t miss our travel guides!